Premiered last year at Lucerne, this short piece, as stark, as clear, as concise, as monumental, as anything I know from its composer was intended, as its title makes clear, as a homage to the composer whose death remains and will remain the greatest of our musical losses in 2016. Webern stands, if anything, more closely and yet also more ambiguously behind the honour than the honoured. The post-war generation's work is far from done. In this outstanding recital, Piotr Anderszewski celebrated the twenty-fifth anniversary of his Wigmore Hall debut. There was nothing showy about his artistry; there never is. Musicianship and virtuosity were as one; indeed, one barely noticed the latter, since it was deployed in and expressed through his musical tone-poetry. There was, moreover, something approaching, if you will forgive the expression, a ‘third half’, in which one Janáček encore was followed by the whole of the Second Book from On an Overgrown Path: at least as engrossing as anything on the programme ‘proper’. Anderszewski both began and ended with a Bach Partita; the last would be first and the first would be last, so we opened with the E minor suite. The Toccata began in forthright fashion, almost but not quite aggressive; that certainly did not preclude yielding later. An involved – and involving – fugue offered a mix of shading within phrases and terraced, manuals-style dynamics. Overall mood and tone were unmistakable; so was variegation within. Above all, though, this was Bach that mattered; Anderszewski’s dynamic performance left one in no doubt. There were lightness and depth, anticipating, so it seemed, Schumann, to the Allemande and Corrente. They danced, not in some facile ‘stylistically correct’ way – who decides what is correct, and what sanctions should (s)he employ? – but fashioning their own, sometimes wayward but always compelling, path. The highly insistent line of the Corrente suddenly confounded expectations with the nonchalance of the final cadence. Anderszewski imbued the Air with a vocal quality such as can only be achieved by keyboard imitation (or expansion). The quality of proliferation put me in mind of Boulez’s music, similarly its luxuriant sensuality. An unswerving teleology in the Tempo di Gavotta nevertheless permitted graceful yielding. Of that there could be none in a splendidly severe Gigue. Here was Bach in all his grandeur, anticipating, even surpassing, the Second Viennese School. Janus-faced, the music seemed to encompass both mediæval and modern tendencies, as well as the composer’s own. Procedures were as audible, even visible, as in Webern; one could pretty much see the score through listening to it. The telos was as all-determining as in Beethoven. In a sense, this felt like the Art of Fugue, yet more so. Schumann’s Papillons followed: an opening invitation to the waltz, with Schubertian charm and the composer’s very own impetus to the fantastic. There was a strong element of characterisation to Anderszewski’s performance, almost as if the pianist were having Schumann anticipate Wagner: ‘characters’, sharply and lovingly etched, came centre-stage and took their leave (or sometimes, did not). In its way, this was a performance as vividly pictorial as, say, the Symphonie fantastique, and as ‘poetic’ – a word covering a multitude of sins – as anything else in Schumann’s œuvre. And yet, there was, of course, so much that could not be rendered in words, in images, in anything but music. However much our Hoffmann – or perhaps better, Jean Paul – at the piano seemed to invite such impulses, he just as readily denied them. It was a joy to hear Szymanowski’s Métopes in concert; if I have heard the work in concert before, it must have been a long time ago. It was still more a joy to hear Métopes in so complete a performance. ‘L’Ile des Sirènes’ sounded Debussyan, albeit through a thicker, or rather more Byzantine, haze. The piano lost its hammers in certain passages, whilst at the same time retaining a more Ravel-like – not for the last time, I thought of Gaspard de la nuit – precision where necessary. This sounded as ‘poetic’ as Papillons, whilst tending to frankly Lisztian (and sexual) heights at climaxes. These were sirens neither man nor woman would have been able to resist; their landscape, moreover, proved just as inviting. Gaspard again hovered in ‘Calypso’: not just similarity but thoughts of dissimilarity too. Certain flickering figures seemed to point to later French music, to Messiaen, even to Boulez, without loss of Scriabin-like perfume; why, after all, should there be such or indeed any loss? The heady mix was Szymanowski’s – and Anderszewski’s – own. ‘Vague dance’, an aptly Debussyan paradox, was my abiding impression of ‘Nausicaa’, which shifted in and out of focus not entirely unlike Schumann’s Papillons characters. Swathes of music and musical history seemed to lie ahead – even, a little surprisingly perhaps, Stravinsky – yet it was, again, both kinship with and difference from Gaspard that most vividly registered in my consciousness. Schumann’s Ghost Variations are a distressing experience, not an experience I am inclined to repeat so very often. Here, however, they received at least a compelling a musical performance as I can recall. Anderszewski imparted to the theme an almost Beethovenian dignity, whilst tugging a little in a Brahmsian direction. It was, moreover, those two composers, Beethoven and Brahms, who seemed to haunt the variations’ progress throughout. They were ghosts who, tragically, could not communicate themselves fully, but the sadness and resilience with which Schumann, their apparent mediator, summoned up his resources for the last time were greatly moving. Out of the closing bar of the Variations, there emerged the ineffable ‘purity’ – however ideological a concept, that is how it sounded – of Bach’s B-flat major Partita. Bach is not ‘pure’, thank goodness; who is? Yet there was something both utopian and grounded to his melody, and counterpoint here, offering consolation so desperately needed. Following that Praeludium, the sense of release and invention were, if anything, quietly intensified in the Allemande. Harmony, in more than one sense, seemed restored – in motion. The Corrente came to life in similar vein, up to a point, yet was imbued with a character, again provoking thoughts of Schumann, that also sounded quite new. Anderszewski spun the Sarabande as if from a single, infinitely varied thread. The first Menuet offered contrast, almost plain-spoken and yet just as lovely in its way. It was beautifully, yet not excessively, shaded, whilst its companion dance offered an ideal match of grace, delight, and the profound. When we heard the first Menuet again, it sounded utterly transformed, and indeed was; this was no mere ‘repeat’. An urgent Gigue, full of life, of potentiality, and of that potentiality fully achieved, concluded the programme. Might it have smiled a little more, I wondered? The throwaway quality to the final bar disarmed, rendered irrelevant, any such criticism. This was great artistry, by any standards. There was no doubting the musical and verbal acuity of these performances from La Compagnia del Madrigale, making their Wigmore Hall debut here. I struggled to put my finger on what I felt might have been missing; the audience certainly responded warmly, and I felt that I learned a great deal both from the programming and the performances. It would be foolish, of course, to expect madrigals such as these to blaze in the same way that, for instance, Monteverdi’s later, concerted works do. Perhaps that was part of my difficulty; perhaps it was also a matter of my own lack of intimacy with the Italian language, for these are unquestionably ‘literary’, connoisseur’s pieces, in which understanding the meaning of the words is only a small part of the battle. All of which is really a way of saying that, if at times I felt a little more enthusiastic than many, if at times I longed for a little more of the way in almost clichéd ‘Italianate’ colour, the fault most likely lay with me rather than with the performances. Luca Marenzio’s Io morirò d’Amore gave its name to the concert as a whole, and made for a splendid intrada. The idea of proceeding to die for love coloured the texts and much of the music of what followed. There was an overwhelming sadness, lightly worn yet unmistakeable, to Monteverdi’s Anima mia, perdona, one of a number of settings of Giovanni Battista Guarini. I was put in mind, not for the last time, of the composer’s Orfeo, seemingly but a stone’s throw away. The singers’ colouring of individual notes and phrases, here and elsewhere, seemed to fit seamlessly into awareness and communication of the shape of the poem and its setting. Gesualdo’s T’amo mia vita, also a Guarini setting, offered pleasing musico-poetic symmetry – ‘“T’amo mia vita” la mia cara vita’ – within a life that had been lived. That madrigal and the ensuing Marenzio Cruda Amarilli (Guarini again), offered a variety of vocal textures, again within a convincing poetic whole; the performance of the latter was beautifully unhurried, indeed ‘aristocratic’, to use that almost unavoidable word. For me, it was Monteverdi’s Tasso setting from his Second Book, Ecco mormorar l’onde, which was perhaps the highlight of the concert: we witnessed, it seemed, a strange, quickening marriage, in work and performance, between tradition and innovation. Already, with the advantage and disadvantage of hindsight, there stood hear the father of musical modernity, at least as strongly entitled to that accolade as Haydn. And yet, there was courtliness too. The whole world seemed a stage. The individuality and complementarity of voices, again in work and in performance, contributed greatly to our enchantment. Chiaroscuro was much on my mind in Marenzio’s Filli, volgendo i lumi, continuing with Tasso, in an almost painterly performance. The sado-masochism of Gesualdo’s text in O dolorosa gioia was matched and, I think, pierced by his musical chromaticism; more than once, I thought not only of crucifixion but also of the sweet assurance of atonement. The final compositional and performative twist on ‘vivo’ was something surely to be relished. Finally, in the first half, Marenzio’s Petrarch setting, Dura legge d’Amor! Had us feel the harshness of its title and text without exaggeration: courtly lovesickness, one might say. Collegiality and amorous sparring were hallmarks of the performance, within an overarching context of the melancholic. The words ‘Come senza languir si more e langue’ offered a desolate close indeed. Gesualdo returned after the interval, with his O dolce mio tesoro. I loved tracking the progress, often eccentric, of individual lines in relation to others, all within the framework of the composer’s bizarre mood-swings. ‘Romantic’? Maybe, maybe not. At any rate, the strangeness was brought subtly to life. Monteverdi’s lengthy Guarini setting (Book V), Ecco, Silvio, colei was subtly – that word again – and persuasively shaped. It was here, above all, that I missed something a little stronger, more interventionist; however, as I said, I suspect that the performers were in the right and that I simply need to immerse myself more in this repertoire. Two of the three Gesualdo settings remaining, Al mio gioir il ciel si fa sereno and Chiaro risplender suole, benefited from warm precision: a faithful guide through compositional surprises. Monteverdi’s Dolcemente dormiva la mia Clori and Cruda Amarilli (a nice counterpart to Marenzio’s setting, heard in the first half) offered a multiplicity of ‘voices’, even of emotions; but quite rightly, one had to make the effort as listener to hear them all. A rich-toned performance of Marenzio’s rich-toned Vivrò dunque lontanto was clearly founded, again rightly, upon verbal nuance. Finally, we heard Gesualdo’s Moro lasso al mio duolo. Its opening chromaticism – if we can call it that, I know… – led to still stranger music, reminding me of the composer’s attraction for Stravinsky. Quite what one should make of it, I am not at all sure, but its instability was subtly – again – represented, without any need of exaggeration. In the spirit of the concert as a whole, the performers paid Gesualdo the compliment of treating his madrigal as music rather than as effect. György Kurtág is the last man standing. Although not quite a member of the ‘post-war avant-garde’ in the sense that composers such as Boulez, Stockhausen, Nono, Berio, Ligeti, et al. were, he is of that generation, and has had much in common with them. When, as a boy, I first became seriously interested in music, all of those composers, bar Nono, was alive; now, following the death of Boulez, only Kurtág remains. If his international star perhaps burned a little less brightly to begin with, that was probably because, unlike his fellow student Ligeti, he remained in post-1956 Hungary. Kurtág’s aphoristic style, however, owes arguably as much to Webern as does the music of any other of those composers; indeed, Kurtág learned a great deal from copying out Webern’s scores. Kafka Fragments is one of those Kurtág works constructed out of, yes, fragments; in 1985, it was the largest such to date. Although it has received a good few performances recently, this was my first opportunity to attend one, intriguingly programmed as part of the Southbank Centre’s Changing Minds 2016 weekend mental health festival. Patricia Kopatchinskaja, who had performed Schumann’s Violin Concerto as part of this same festival, the night before, was joined by Anu Komsi to perform this work of forty fragments. My impression was that this was an unusually broadly-conceived performance; even allowing for having started five-or-so minutes late, and for pauses, it lasted considerably longer than advertised. The work’s progress did not, however, drag; indeed, on both a micro- and a macro-level, one was drawn in, Nono-like, to listen. Collaboration between the two artists was, as it would have to be, extremely close; this was a performance that partook of the gestural, indeed almost of the staged, as much as of the musical, without in any sense minimising the musical achievement. The fine booklet note by Bruce Hodges offered an excellent simile, which, to me penetrated to the heart of the performance as well as the work: ‘The singer and the violinist are equal partners, like two gnarled branches, intertwining as they age, each subtly affecting the growth of the other. (Kurtág loves the strange trees in the Parc Montsouris in Paris. )’ From the weary tread of the violin’s Schritt in the opening ‘Die Guten gehn im gleichen Schritt’, the voice itself emerged. Or had it been there all along, silent? Such thoughts were not, I hope, just pseudery, although you may think otherwise, but rather a consequence of the closeness of collaboration, both musicians playing from a single score. Mood – perhaps, given the circumstances, an especially important consideration – ranged widely, whilst rarely, if ever, registering as unambiguously bright. The texts are, after all, by Kafka. Violinistic ferocity in ‘Ruhelos’, followed by the whispering of the fragment’s single word, might have led anywhere; only after the event did it seem necessary for Kopatchinskaja to have taken up her own challenge, in the next-but-one fragment, ‘Nimmermehr (Excommunicatio)’, with virtuosic descending figuration, quickly responded to by its inversion, or something close thereto. The ultra-melismatic writing of ‘Die Weissnäherinnen’ was relished by Komsi, just as was the alternation between Sprechstimme and song in ‘Zwei Spazierstöcke (Authentisch-plagal)’. Dance rhythms from old Mitteleuropa haunted the ‘Chassidischer Tanz’ as they did ‘Szene in der Elektrischen’, its kinship with Bartók especially resonant. Webern naturally came to mind on several occasions, none more strongly than in the high-altitude stillness of ‘Träumend hing die Blume (Hommage à Schumann)’; so, however, perhaps did the mountain-lake tranquillity, that yet moves, of the slow movement to the Hammerklavier Sonata. My own fancies? Perhaps; who knows? The openness of work and performance was, I suspect, not entirely neutral, though, in provoking such reflection. Was it just the language of ‘Der begrenzte Kreis’ that provoked a momentary thought of Pierrot? Difficult to say, but I think it was something more, however difficult or impossible to put into words; the musico-dramatic prowess of the performers almost certainly played a part too. When it came to the fourth and final part, the opening ‘Zu spat (22 Ocktober 1913) sounded ‘too late’ indeed: no hysteria, just quiet despair, all the more deadly for its soft-spoken motion. The line ‘Ich lebe rasch’ in the ensuing ‘Eine lange Geschichte’ seemed to burn itself out, almost as if delivered by Don Giovanni himself. It was the ecstasy, the extremity of the post-Gurrelieder Wild Hunt that seemed to haunt ‘In memoriam Robert Klein’: almost, yet not quite, necessitating the measured diagnosis of ‘Aus einem alten Notizbuch’. I say ‘almost, yet not quite’, since the relationship between the fragments is often difficult to describe; one feels it, yet one seems not really to know it. The halting progress one makes in that respect as listener is perhaps not unlike that the performance evoked in ‘In memoriam Joannis Pilinszky’. The closing ‘Es blendete uns die Mondnacht’ provoked all manner of conflicting reactions concerning the fragments and their assembly. Such is surely as it should be, given the centrality of the fragment to any consideration of the modernism whose flame yet flickers and burns in Kurtág’s art. 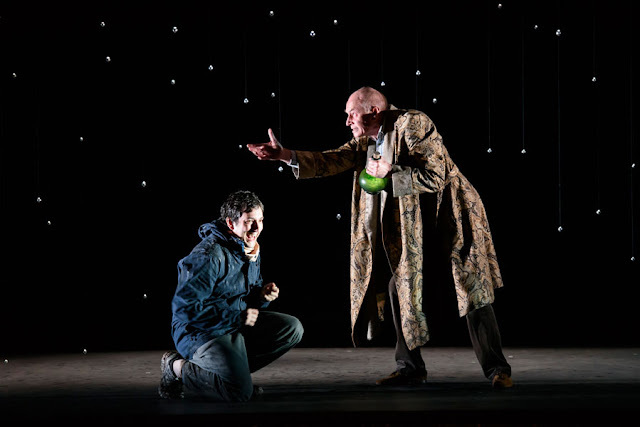 Whilst the Arts Council - until recently plaything to that cultural luminary, Big Brother’s Peter Bazalgette, friend and appointee of Jeremy Hunt – has been doing its best to destroy the English National Opera, ENO has fought back in the best way possible: in the theatre. 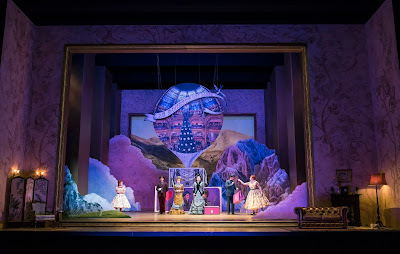 I felt ambivalent about this production of The Magic Flute first time around; it was certainly an improvement upon itspredecessor, but other than that, I was somewhat lukewarm. At the time, I welcomed its emphasis upon theatricality and the workings of that theatricality, whilst wondering whether a little less might have been more. That I still feel; it is not clear to me what is contributed by the writing of ‘The Magic Flute’ on a screen during the Overture, save, alas, for permitting noisy sections of the audience to laugh uproariously. If they find that – and, it would seem, pretty much anything – so utterly hilarious and/or conducive to loud discussion, then I might suggest that they seek help; the rest of us certainly needed help at times in order to hear the performance. For me, however, the strongest reasons to enthuse were musical. Mark Wigglesworth led an excellent account of the score. No, of course it was not Colin Davis; but we do not need to hear unconvincing imitation of past glories. Wigglesworth’s tempi tended to be swifter, although not unreasonably so; crucially, there was no sense of harrying the score, of preventing it from breathing. There was no absurd rushing through ‘Ach, ich fühl’s’, nor indeed through any of the most tender moments. Moreover, the ENO Orchestra and Chorus, fighting back again where it matters most strongly, were on excellent form throughout. Orchestral light and shade was present in abundance, even if I did not especially care for the use of natural trumpets. (That seems to be the latest fashion with modern orchestras, a fashion I confess to finding incomprehensible, when modern instruments are otherwise used.) The chorus, presently under threat from management cuts, showed incontrovertibly why it deserves our fullest support, its members as convincing individually as they were corporately. Allan Clayton offered a fine vocal performance as Tamino, although I think the production might have made him a little more princely. Ardent and lyrical, he was a worthy successor to Ben Johnson. 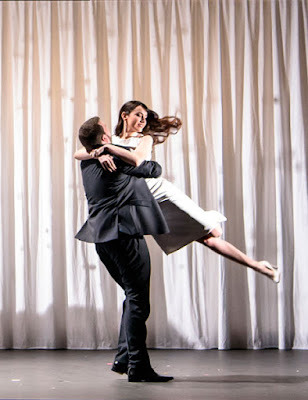 Lucy Crowe’s Pamina was as touching as one could hope for, musical and dramatic qualities as one; hers was a performance that would grace any stage. James Creswell’s Sarastro was unusually light of tone; there were times when I hankered after something darker, more traditionally Germanic, but on its own terms, this was an intelligent portrayal, with considerable stage presence. Ambur Braid may not have hit every note perfectly as the Queen of the Night – who does, at least on stage? – but hers was a committed, unusually human performance; I hope that we shall see and hear more from her. Peter Coleman-Wright’s Papageno confounded expectations. Here we had a highly convincing portrayal of a bird-catcher left on the shelf, the sadness arising from society’s contempt for the ageing as much as his usual predicament. (It seems a perfectly reasonable reappraisal in a work much preoccupied with age, which really had me thinking.) John Graham-Hall’s Cockney Monostatos showed what a truly versatile artist this is; it is only a few months ago that I saw him as Schoenberg’s Aron in Paris. All of the smaller roles were taken well, showing once again how crucial a sense of company is to performance; if only ENO’s management would watch and listen. An excellent new opera, jointly commissioned and co-produced by Music Theatre Wales and Scottish Opera, The Devil Inside received its premiere at the Theatre Royal, Glasgow (23 January) and, following a visit to Edinburgh, continued its touring life in London. Not the least of the evening’s discoveries for me was the Peacock Theatre on Portugal Street: used by the LSE during the day, and turning properly theatrical at night. It is a splendid space, of which I hope to see more. Stuart McRae and his librettist, Louise Welsh, have produced a finely crafted opera in seven scenes, none overstaying its welcome, the whole more than the sum of its parts. ‘Inspired’ by Robert Louis Stevenson’s The Bottle Imp, we enter the sub-Faustian world of late capitalism and ‘property development’. That, however, is the setting rather than the substance; the bargain is the thing. James and Richard, lost in the mountains, meet an old man who offers them a way to become as rich as he is, if they buy a green bottle from him. Tempered in the flames of Hell, it contains an imp who will grant the owner his every wish; the catch is that, if you remain in possession of it when you die, you will go to Hell, and the only way of ridding yourself of it is to sell it on for less than you paid for it. And so, the story continues, James as rich as, well, a property developer, before selling it on to Richard, who remains haunted, consumed by it. Having met Catherine, who becomes his wife, James must regain the bottle when he learns of her terminal illness. The price has sunk so low that they must go abroad, where the currency is worth less. Eventually, and just in time, Richard, addicted to the bottle and its imp, takes it for one centime from Catherine, makes his last wish and dies. What, however, has Catherine wished for just before? If the Devil has made her pregnant, then...? The libretto works as it should, as a libretto, rather than as a stand-alone piece. McRae clearly relished the opportunities it offered, for again, his music works as it should, as musical drama, not as stand-alone music. It is atmospheric, characterful, resourceful, and more. The smallish ensemble is full of intriguing solos and instrumental blends. Two harmonicas make for a frightening duet; interestingly (I only noticed this afterwards from the programme), they are played by the two violinists. Deep sounds – we are dealing, after all, with an opera forged in Hell – are often to the fore: alto flute, bass clarinet, contrabassoon, trombone. But so are fantastical, post-Britten glistenings, silver and gold, as befits the prize and the delusions it offers. The music for the bottle and its imp itself does not in any sense sound ‘like’ Wagner’s for the Tarnhelm, but the unnerving mixture of timbre and harmony produces what is perhaps not an entirely dissimilar effect. (Or maybe that was just my fancy!) It is perhaps inevitable that the sound of chamber opera in English brings to mind composers such as Britten and Birtwistle; I am not sure that I detected specific influence, although I am not sure that I did not, either. More importantly, the score sounds apposite, guides the action, indeed in many cases is the action (the interludes in particular, although not only then), and makes for a chilling night in the theatre. Michael Rafferty’s direction of the Music Theatre Wales Ensemble seemed wise and assured throughout, balancing musical and theatrical impulses to excellent effect, as did the playing of the instrumentalists themselves. All four members of the cast created their characters to equally fine effect; they sprang off the page into our mythical consciousness. Nicholas Sharratt’s Richard proved properly ambivalent, ultimately human and loving, yet not without weakness. Rachel Kelly’s Catherine seemed too good to be true, and in a sense was: was not her obsession with having a child as dangerous as the others’ obsession with the bottle and its imp? Ben McAteer made James’s sorry descent utterly credible from beginning to end. Steven Page’s Old Man and Vagrant (on the far-away island, briefly in possession of the bottle himself) made their theatrical point vividly and without histrionics. The resourceful production from Matthew Richardson and his team left nothing to be desired. So much can be done with intelligent direction, designs, and props, that attention was focused where it should be: upon what emerged as a new and important re-telling of an old, powerful tale. For details of the production’s tour, visit the website of Music Theatre Wales. Before saying anything else, I must commend the Royal Opera on broadening its repertoire. Anything that leavens a diets of endless Traviatas can only be a good, or at least a better, thing. Moreover, to perform a work that had not previously been given at Covent Garden is a better thing still. 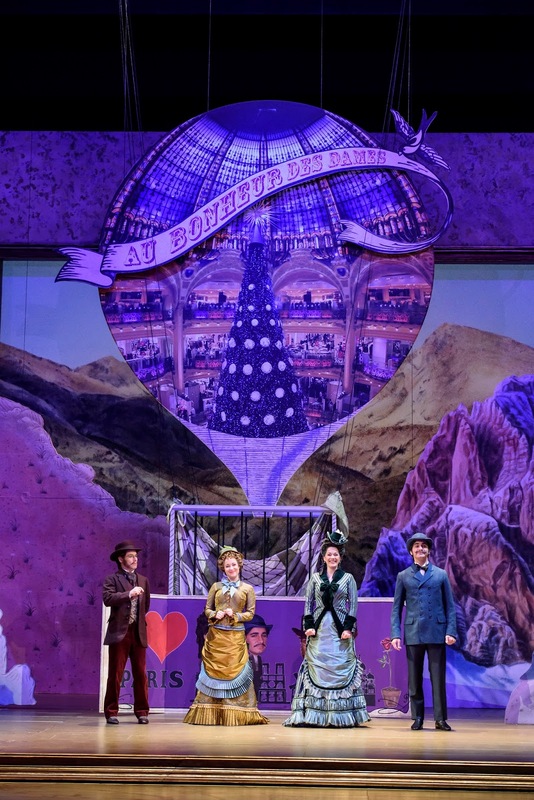 Alas, Chabrier’s opéra bouffe did not, on the whole, have a good night, and, although I know it has its admirers – the ‘lighter’ the music, the more militant the admiration tends to be – I really cannot claim to have been won over, at least insofar as I could tell from Mariame Clément’s confused production. Clément never seems to be clear – or at least I was not – whether what we see might be intended ironically or not. Is the cod-mediævalism of the set designs intended to be amusing? I really have not the faintest idea, likewise with respect, more disturbingly, to its orientalism. A post-modern hotchpotch, is, as usual with such presentations, very much the thing, almost daring one to seem too serious, too intellectual, by requesting some degree of coherence. Ambiguity is not necessarily a bad thing, yet few of the metatheatrical possibilities go for anything very much; the creation of new characters and dialogue might be said to be frame the work, but ultimately to little purpose. (I was left with the impression that the purpose was really to create a role, in English, for Chris Addison.) Clément tries too hard, perhaps: there are too many silly things at which to gawp, and which do not cohere. (One might say that of the opera itself, I suppose, but let us at least try to give it the benefit of the doubt, without initially resorting to the disingenuous, ‘well, it’s supposed to be incoherent’.) 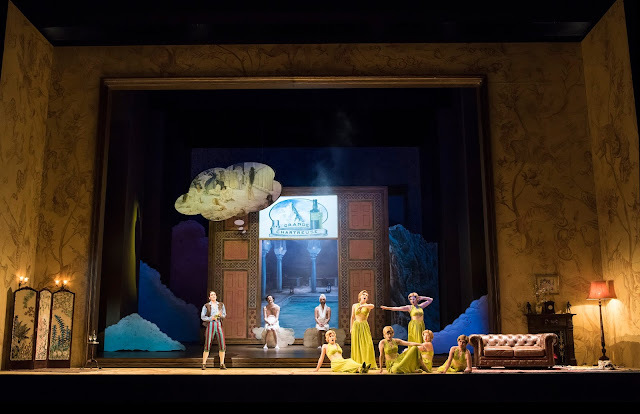 Spectacle, especially in the French tradition, can be an important tool of drama, but here Wagner’s accusation – yes, I am doubtless too Teutonic by half – of ‘effect without cause’ seems far more just here than it was for Meyerbeer. Only people who think the appearance of a hot air balloon or a large elephant is intrinsically amusing – and there seem to have been many such people, I grant you – will have escaped the feeling of tedium during the lengthy progress of the evening. For the real problem is, of course, that Meyerbeer could – and should – work very well at the Royal Opera House; the great pity of the Royal Opera’s Robert le diable was the director, Laurent Pelly’s inability to take it seriously. (That and, of course, the deadly conducting of the dread Daniel Oren.) A work such as L’Etoile would surely be far better off in a smaller, indeed a much smaller, theatre. Not only would one see the artists on stage, better to respond to their facial expressions, their shrugs, their other gestures; there would be no need to inflate the scenic representation beyond something this slight work can bear. As I said, there is nothing to bring out the protective impulse in certain music-lovers than to dare to express scepticism concerning something that is ‘light’. One immediately becomes humourless, joyless, all the rest of it. It certainly would not help one’s cause with them to point to the Leipzig Gewandhaus and its motto, ‘Res severa est verum gaudium’. But surely it is as ridiculous to claim that all ‘light music’ is good as to claim that all ‘serious music’ is. Palestrina is not Parsifal; I am not sure that L’Etoile deserves to be cherished as, say, the best of Offenbach, or even middling Offenbach. Silliness becomes wearing rather quickly; excellent satire does not. Matters might have been helped, had Mark Elder, however, been a little less ‘serious’. The evening’s progress was fitful, one first-act duet in particular plodding rather than sparkling. Taken on its own terms, the playing of the Orchestra of the Royal Opera House was impressive, yet I could not help but think that zippier direction would have helped it along. It was not actually an especially long evening, but it felt like it, the first act less than an hour felt to me considerably longer than its equivalent in Parsifal. And it was difficult, to put it mildly, to feel that as much was at stake. The singing was generally good, though, as indeed was the acting. Christophe Mortagne’s King Ouf tilted more towards the latter, but perhaps that is as it should be. Kate Lindsey offered a spirit and, at times, almost touching performance in the role of the pedlar, Lazuli, however tiresome the antics surrounding him/her. Addison and his companion, Jean-Luc Vincent proved good company members, in no sense jealous of the limelight, although I could certainly have done without the former's Sherlock Holmes set-piece. If Simon Bailey’s astrologist Siroco veered somewhat uneasily between French and English, that was really the director’s responsibility. 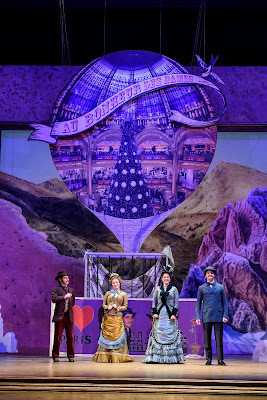 The four visitors, Julie Boulianne, François Piolino, Hélène Guilmette, and Aimery Lefèvre performed well throughout. Alas, neither work nor performance approached the sum of its parts. One may or may not have been supposed to care about the characters, but should one have felt such utter indifference to the action, such as it was? 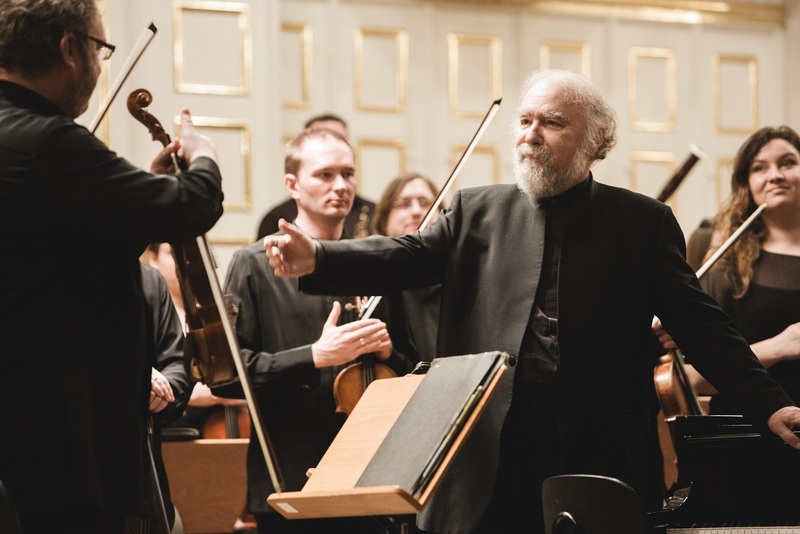 My visit to this year’s Salzburg Mozartwoche ended in style with Kremerata Baltica, augmented for the Mozart works by wind players from Concerto Budapest, and Radu Lupu. The festival’s Mendelssohn theme was honoured with a stunning performance of his Seventh String Symphony, in D minor, quite the best I have heard of any of these absurdly early works. Was Mendelssohn perhaps an even greater prodigy than Mozart? 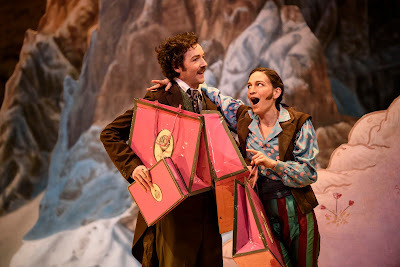 The musical equivalent of the nouveau riche loves to disparage Mozart’s juvenilia, keen to show that it can tell the difference between Bastien und Bastienne and The Magic Flute. Yes, thank you; we all can. Nevertheless, despite the riches to be found by those with ears to listen in Mozart’s early works, Mendelssohn’s achievement is at least as extraordinary. 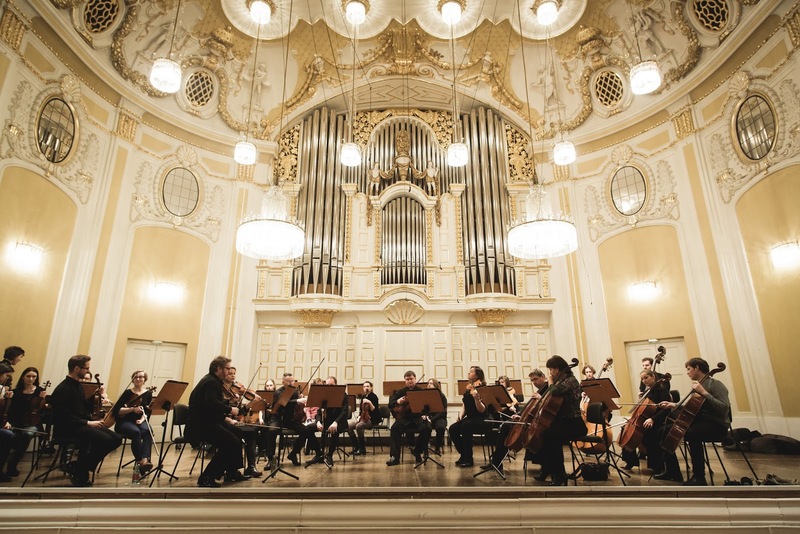 The players (led by Džeraldas Bidva) captured to a tee, in all its excitement and life, the strange and delightful blend of Baroque and Mozart to be heard here in the first movement. (One would not necessarily want to hear many of these ‘symphonies’ together, but as an extended overture, there is much to enjoy.) Clarity and dynamism were as one. The key of D minor was surely recognisable from Mozart’s own writing; Gluck’s Don Juan came to mind too. Mozart was also strongly echoed in the Andante, even if here the echo is slightly bland. Intelligently phrased, with its modulations relished, it is difficult to imagine the movement coming off better. There is greater originality in the minuet and trio, not least in the lower strings, and so it sounded, even if it does not sound like the mature composer. A few parts of the finale do, I think, even if most still do not. At any rate, the performance was excellent, highly convincing throughout. Mendelssohn’s contrapuntal learning served him and the players well. The absolute highlight of the concert for me was Mozart’s final piano concerto, for which, of course, the players were joined by Lupu. Despite an ever-so-slightly shaky opening bar or two, the performance soon settled down. The opening ritornello sounded more vernal than autumnal; here and throughout, there was a true sense of chamber music writ large. Lupu ornamented his line from his first entry, but it never sounded anything other than ‘natural’. And what a touch he has, having one feel humane depth as well as melodic delights. Lupu showed how his playing can twinkle without sacrifice to the harmonic implications of Mozart’s score. The oscillation between tonic major and minor, so crucial to much mature musical Classicism, and never more so, surely, than in this work, proved so in performance too. If the orchestra offered spring, Lupu’s playing seemed more of an Indian summer; at times ghostly, yet always gorgeous of tone and characterful too. One very noticeable fluff (if I remember correctly, a wrong bass note) perturbed no one, likewise a slip at the end of the cadenza. This was very much a tale of an elder sage and his younger disciples. The opening to the slow movement registered divine simplicity, the warmth of the orchestral response enchanting and consoling. That major-minor oscillation sounded, and yes felt, truly heartbreaking. I do not think I have heard the piano line sound so simple and yet so inimitable as here: as close, it seemed, to unmediated Mozart as one would ever hear. And that was despite considerable ornamentation, to which it was a delight to hear the woodwind soloists respond in kind. The sheer ‘rightness’ of the opening piano statement in the finale, likewise the orchestral response, set the tone for what followed. Every note in Lupu’s part sounded both properly weighted and yet integrated into the longer line. Is there anything sadder than to know that this would be Mozart’s final essay in the genre? Well, yes: the sadness of his major-mode smiling through tears, here captured to perfection. One felt the fragility of happiness, of beauty, of song, of harmony: yet, onwards Mozart continued. I had previously been less than bowled over by the music of Mieczyław Weinberg, although I know he has his fervent admirers. This performance of the G minor Sinfonietta, op.74 (1960) came closer to winning me over than any other has done. I think it was a matter both of work and performance, the latter rarely, save, perhaps for the third movement Adagio, overstaying its welcome, the performance as committed as the work will surely ever receive. The first movement opened in vehement, even frightening mode, the string orchestra sound making me think of wartime Honegger (the Second Symphony). The second movement sounded close to Shostakovich and, more interestingly, Prokofiev in ghostly clockwork mode. Kremerata Baltica’s strings really dug in throughout, perhaps still more so in the third and fourth movements. Solos were splendidly taken, but it was the ensemble as a whole that impressed most of all. The performance of KV 488 was again very much on a chamber scale, but that did not mean that it lacked orchestral contrast. Tutti passages were not only beautifully played but were possessed of a kenn, unforced sense of drama. Lupu sounded much as before, which is not in any sense intended to convey a lack of enthusiasm, simply to indicate that I am in danger of running out of superlatives. Occasionally, orchestral phrase endings were a little abrupt, but that should not be exaggerated. Again, it was sheer ‘rightness’ that ruled for the most part in this first movement. Lupu’s opening solo in the Adagio straightforwardly compelled one to listen. It was a proper Adagio too; one often hears this movement taken too fast. Orchestral chiaroscuro was spot on throughout, contributing beautifully to a dignified sadness that felt no need of histrionics. Lupu’s awareness of the ways in which the piano line both is and is not ‘vocal’ impressed; perhaps surprisingly, given his way with KV 595, he left it without ornamentation. The finale was playful, spirited, but of course not without sadness. Again, there was not the slightest sense of performance imposing itself upon the music. This was a delight from beginning to end. There was much to enjoy in this recital from the Elias Quartet, substituting for the Hagen Quartet; I doubt that anyone would have been disappointed by the substitution. 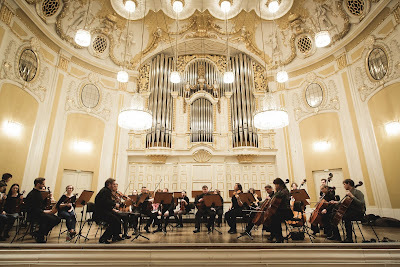 Perhaps ironically, given that this was the Salzburg Mozartwoche, it was the Mozart performance (the A major Quartet, KV 464) that I responded to less warmly, but I suspect that that was as much a matter of taste as anything else. There was certainly cultivated, sweet-toned playing to be heard from the opening of the first movement, but I sometimes wished for greater variety in articulation. Otherwise, there was plenty of light and shade. Counterpoint and harmony were in fine balance in the minuet and trio. Again, the performance was sweet of tone, but I felt it might have smiled more. The Andante had many of the characteristics of the earlier movements: beautiful but, at times, a little suffocating. There was, though, some ardent, committed playing, especially in the minor mode. I liked the players’ way with the sinuous chromatic lines of the finale, perhaps the movement I enjoyed most; again, there was some splendidly ardent playing. The Mendelssohn A minor Quartet, op.13, opened in similarly beautiful fashion, also conveying the importance of the composer’s harmonic shifts. More than once, Beethoven came to mind: no bad thing in a string quartet! The first movement exposition was full-blooded, without sacrifice to tonal beauty. Solos had a real sense of response to each other, all very well taken, displaying difference in unity. The terse quality of the closing bars questioned facile assumptions concerning the composer. The second movement sounded haunted by the sweet fragility of late Beethoven, at least at the opening, before developing in a fashion that surprised in other ways; there was a passion to be heard that would not have been out of place in Berg. When the return of what we might call late Beethovenian spirit came, the question seemed to be: is this resignation? As Mendelssohn would later point out, music is often too precise for words. Whatever it was, it was undeniably moving. Again, though it never sounded ‘like’ late Beethoven, the different tendencies and sheer strangeness of the third movement had something of that spirit. However, I did wonder whether the Allegro di molto might have benefited from sounding a little rawer in tone. There was certainly no lack of a ‘cry’ at the opening of the finale. It would have made anyone sit up, without seeming a mere effect. The seriousness of the young Mendelssohn’s ambition and accomplishment was clear throughout. Schumann’s A minor Quartet, his first (I confess to tiring a little of the key! ), opened in wonderfully austere, ‘ancient’ fashion, gradually, magically warming. Bach was never far away, it seemed. The surprise of the key (F major) in the main Allegro registered as it should; it disconcerted, even when one knew it was coming. So did the path of the movement as a whole; this was not comfortable Schumann. The scherzo offered the return of A minor and, almost, so it seemed, of Mendelssohn. Its trio sounded almost Mozartian by contrast: a winning element in programming and performance. The return of F major in the slow movement, with its unmistakeable echoes of Beethoven’s Ninth Symphony, registered with particular songfulness. Again, there were no easy consolations here; indeed, there was a tendency towards fragmentation that again made me think of late Beethoven, even Schoenberg (doubtless via Brahms). There were more than occasional pre-echoes of Brahms in the finale, whose performance yet remained true to its own particular character. The final turn to A major proved a delightful surprise: again, even when, perhaps especially when, one knew. Two Scottish tunes made for an encore as surprising as it was excellent; they were very well-received. Nikolaus Harnoncourt was to have conducted this concert. The recently-retired conductor has many admirers, indeed clearly inspires great affection and loyalty, but, although it would not have done me any harm to have heard him once ‘in the flesh’, I, being not so close to him æsthetically, was probably less distraught than many to be deprived of that particular opportunity. I looked forward, however, to hearing another conductor for the first time ‘live’, and was not disappointed. Pablo Heras-Casado, who has recently been recording Mendelssohn on period instruments – you see, I am not quite so narrow-minded as I might sometimes like to pretend – here performed the composer’s music with a very different beast, the Vienna Philharmonic, also of course an orchestra with long-standing affection for Harnoncourt. The Overture to Die schöne Melusine opened with delightfully bubbly woodwind, responded to by featherlight – yet grounded! – strings. Then came full orchestral vehemence, with a quite wondrous precision, not always the VPO’s stock in trade, and so on, quicksilver changes of mood beautifully handled. This was the most alert playing from an orchestra which, especially recently, has not been without its slapdash moments. That, I think, must indicate that what can be a somewhat recalcitrant beast likes Heras-Casado, who certainly seemed to have the measure of this score. Whether I should have liked Harnoncourt’s way with Mendelssohn’s setting of the forty-second Psalm, who knows? I certainly like – very much – his having programmed it. We almost never hear Mendelssohn’s shorter choral works; indeed, although Elijah has the reputation of being a warhorse, I have only heard it once in the concert hall, under Kurt Masur. This was a performance in general as beautifully crafted as the work itself. (If you do not know it, please give it a try! Likewise the extraordinary Die erste Walpurgisnacht and a very fine Kyrie setting, both on a highly recommendable disc from Michel Corboz. For Harnoncourt fans amongst you, I feel bound to remark that he also recorded the former, although I have not heard that recording.) The opening chorus was often amiable – have I used up my store of Mendelssohn clichés yet? – without that being a term of mild abuse; its sterner moments told too. It sounded midway between Mozart and Brahms, which is probably just about where Mendelssohn tends to stand. The oboe solo was utterly ravishing, putting me in mind of a Bach obbligato. Dorothea Röschmann, who had the only real vocal solos in the work, proved imploring yet, as one would suspect, possessed of a thrillingly ‘big’ voice. Her aria with female chorus brought similarities not only with the inevitable Midsummer Night’s Dream but also the Second Symphony. After that, the male-voice opening to the chorus, ‘Was betrübst du dich, meine Seele’, offered imposing contrast, without sounding merely grandiose. Röschmann’s recitative, ‘Mein Gott, betrübt ist meine Seele an mir’, sounded veritably Elsa-like; following that, there was fine work from her and the male quartet (two from the Arnold Schönberg Chor). The choir provided an echt-Romantic choral sound, perfectly blended, in the final number, the orchestra producing playing of quite amazing clarity. It may have been the only time I have heard this work in the concert hall, but I doubt I should have had many, if any, opportunities to hear it performed better. The Scottish Symphony – I do not think we are supposed to call it his ‘Scotch’ any more! 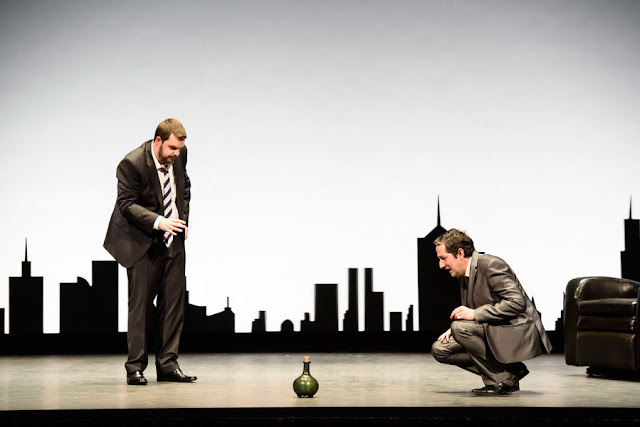 – receives many more performances, of course, but perhaps not so many as one might expect. At least in my experience, its Italian brother seems to crop up far more often. The opening to the first movement was grave yet sweet of tone; indeed, the whole introduction sounded full of potentiality, not unlike Haydn in that respect. Heras-Casado imparted a fine sense of momentum; he clearly knew, and knew how to communicate, its contours. The Allegro un poco agitato soon developed a fine head of steam, as it were. As earlier, there was a fine sense of intimacy too; indeed, that was really one of the hallmarks of this performance, which seemed conceived very much in chamber-music style. There was certainly little that was Wagnerian about Heras-Casado’s Mendelssohn; not that there is anything wrong with such an approach, which I remember well from Sir Colin Davis conducting this symphony, but there is rarely one ‘correct’ way. And, although Heras-Casado could drive quite hard, the second group yielded in lovely – yes, I must have used up my store by now – fashion, the development of its material seeming here of particular interest (subtleties brought out without underlining). There was brilliantly virtuosic playing to be heard in the scherzo; essentially, it sounded as a Mendelssohn scherzo should (whatever I might have said about there not being one way). Clarity of counterpoint was admirable; so, crucially, was its direction. The opening to the Adagio was infused with sweet Viennese longing, which, under Heras-Casado’s wise leadership, did not neglect the particular twists that mark this music as Mendelssohn’s, close though it rightly might have sounded at times to Schumann. The sterner, majestic passages were given their full due too, and, again, there was a fine sense of how the movement cohered as a whole. There followed as spirited and, in general, precise an account as one might hope for of the finale, tension maintained throughout. My only real cavil was a slightly hesitant moment or two at the turn to the minor, but after that, the music grew to a splendid final peroration. This was the second of two recitals from Renaud Capuçon and Kit Armstrong this year; four more, I think, are to follow in 2017. Menahem Pressler had been scheduled to partner Capuçon; no one could reasonably have been disappointed by his replacement. 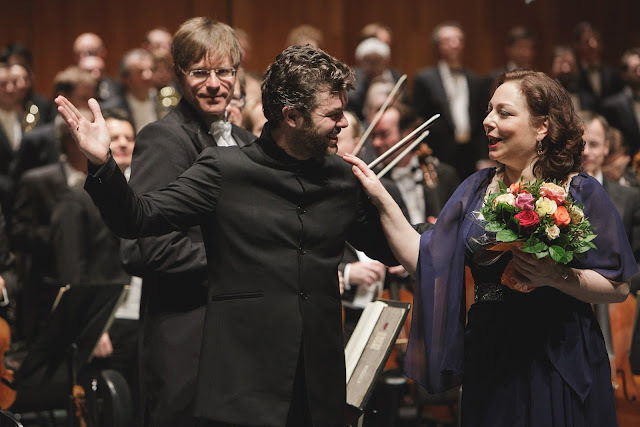 One of Capuçon’s great strengths as a violinist, it seems to me, is his ability to adapt his performance according to his partners; there is no one-size-fits-all approach. That is not to say that he is simply a chameleon, far from it, but he is a chamber musician (even when playing with an orchestra) who listens and responds as well as leads. The partnership with Armstrong – whose Mozart playing seemed to me very much in the line of Alfred Brendel, with whom he has studied – sounded very much as a meeting of equals. The preposterous claim, often trotted out, that Mozart’s violin sonatas do not work on modern instruments, that there is somehow a problem with the balance, was less defeated than forestalled. The idea would never have occurred to anyone who was not in thrall to ideology; sadly, that means we shall hear it time and time again, from people who cannot rely on their performances to make the point. A cultivated tone was heard from the outset in the C major Sonata, KV 303/293c. The first movement’s Adagio sections were properly leisurely, their Molto allegro counterparts brilliant, yet never losing that aristocratic cultivation. Balance was ideal. The harmonic surprises of the Adagio music spoke without underlining. In the ensuing Tempo di Meneuetto, quicksilver transformations were integrated into the longer line, whilst remaining well characterised. A case in point would be those extraordinary piano left-hand eruptions, which turn out instead to be an exercise in skittishness, over almost as soon as they have begun. In both movements, Mozart’s formal experimentation was striking. Armstrong then played the great A minor Rondo, again striking a fine balance between the need individually to voice every note and the demands of the phrase as a whole. That is not to say that longer-term structure was lacking, but it seemed to emerge from the material, rather than being imposed upon it. The performance’s Classicism, in Brendel’s line, did not preclude darker Romanticism, but this was not an overtly emotional reading. Indeed, intimacy was its hallmark. The E minor Sonata, KV 304/300c opened with almost Schubertian sadness, then taking quite a different path: elegant yet deeply felt. Neither musician showed any need to shout about the emotional content; that did not mean that it was not present. Capuçon’s singing tone sounded well-nigh perfect to me. The second movement, again a Tempo di Menuetto, could hardly be more different from that in the C major Sonata. The players took it more slowly than often on hears, very much to its benefit, permitting pathos in melody and harmony alike to tell. This is a movement to take one’s breath away – and it did, tragic without underlining its tragedy. The first movement of the ‘Sonata for beginners’ charmed without trying to be something it was not. Beautifully played, it sang and it smiled. Brilliant display and unshowy musicality characterised the second movement. There was likewise a winning simplicity to the finale, although here I felt the piano playing at times a little undercharacterised, even bland, perhaps most surprisingly in the minor-mode variation. I had no such qualms, however, with respect to the violin performance. The B-flat Sonata was very much in the line of the first-half performances. Phrasing was of such a ‘natural’ quality that it doubtless belied a great deal of thought and effort. Something a little more ‘Romantic’ would not necessarily have gone amiss in the second movement from the piano, the notes occasionally appearing more important than their connections; that should not, however, be exaggerated. The complexity of Mozart’s writing shone through in any case. The Rondeau was more ebullient; given the nature of the movement, how could it not be? But it was more than that; the piano part sounded relished, even loved. Once again, we seemed to hear an ideal partnership. Capuçon’s elegance seemed once again to have been liberated.